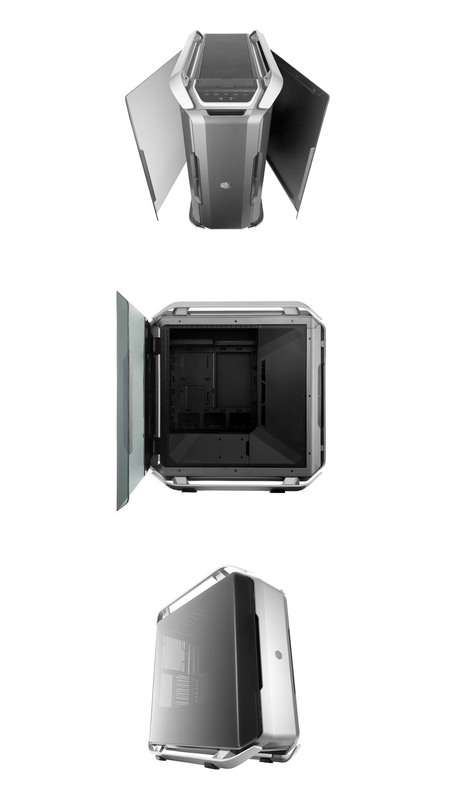 The all new Cooler Master COSMOS C700P. Now with built in RGB LED strips and a controller, sleek & solid aluminium handles and dual-curved tempered glass side panels. A unique frame design enables regular, chimney effect and inverse layout. The motherboard is removable for installation outside of the case and removable PSU, storage and cable management covers allow for easy cable management with clean builds as a result.